We are also manufacturing Collagen Peptide in Sachet form. Read More . View Ppt. The combination of Collagen Peptide Type I, Sodium Hyaluronate, Chondroitin Sulfate Sodium, and Vitamin C is a supplement deemed to be having beneficial effects in tendonitis or tendinopathy of all types. Tendons are tough fibrous structures which connect a muscle to a bone. These are designed to withstand stress due to muscle pulls arising from repetitive activities. It is condition where there is repetitive mechanical load on tendons, often resulting from athletic activities, leading to predominant degeneration and minimal inflammation of the tendons. Chronic injury of tendon is often associated with degenerative changes in the tendon fibers. Very commonly, cumulative trauma, repetitive strain, overuse motions are alone or in combination associated with different variants of this condition, called, otherwise, as tendinopathy or enthesopathy . 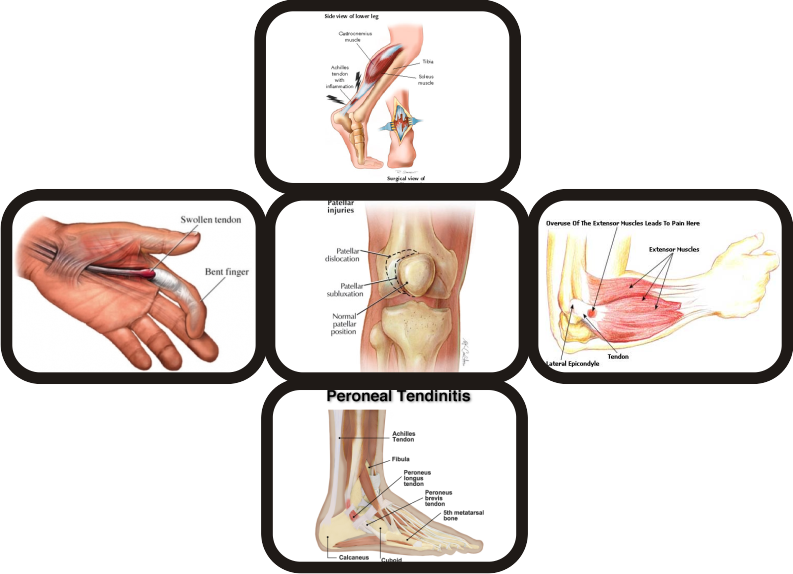 Specific conditions include tendonitis, tenosynovitis, peritendinitis, paratenonitis or tendinosis. Normal tendon tissue is formed exclusively of Collagen Type I; however injured, inflamed, or degenerated tendons have drastically reduced Collagen Type I, and disorganization of tendon fibers leading to decreased tensile strength of the tendons. Normally in tendinopathy, pain killers do not correct the basis problem; they simply relive the pain signals. Studies have shown that in most cases of tendinopathy, there are degenerative lesions in the tendons, rather than inflammation. This Combination demonstrates beneficial effects in the regeneration tendons because the ingredients help tendon cells to regenerate. This is a unique combination of Collagen Peptide Type I, Sodium Hyaluronate, Chondroitin Sulfate Sodium, and Vitamin C, which have been shown to be effective in improving extracellular matrix in tendons affected with tendinopthy. It has been shown that such a combination improves tendon functions. Moreover, they have been shown to demonstrate concentration in the tendons sheaths which get particularly affected in the tendinopathy . Combination stimulates proliferation and production of tendon cells and Collagen Type I respectively. This facilities the fibrillar cross linking and Glycosaminoglycan synthesis. It has been observed and documented that administration of this combination in cases of tendinopathies helps maturing the tendon fibers to its normal tensile strength the fiber organization. Apart from these, tendinopahty may be expected as part of osteoarthritis, rheumatoid arthritis fracture or orthopedic surgeries. How does Collagen Peptide Type I Work? 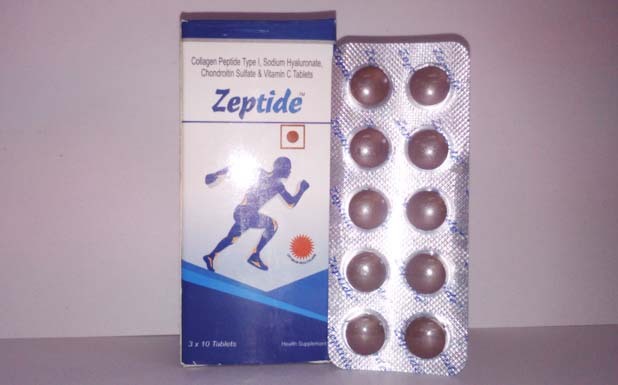 Collagen Peptide Type I is the principal collagen in healthy tendons. There are used to synthesize new tendon fiber extracellular tissue, which maintain the health of tendons. It acts as a mucopolysacchride that helps cross- linking of the collagen fibers amongst themselves and with Chondroitin Sulfate, leading a uniform bundle of fibers arranged compactly to offer maximum tensile strength. Also it reduces adhesion formation of the affected tendons with their sheaths, thus promoting free glide of tendons over the bones while healing. Chondroitin Sulfate abundant as a mucopolysacchride in the tendons packing material. It serves to provide tensile strength and elasticity to the healthy tendons which basically are Collagen Fiber Type I cross-linked to each other by Chondroitin Sulfate, with or without Sodium Hyaluronate placed in between, serving as cross bridges. While a tendon affected with tendinopathy has drastically reduced Chondroitin, Chondroitin Sulfate is known to stabilize tendons by reinforcing Collagen-Chondroitin association cross links. Vitamin C helps synthesize new collagen fibers Type I in an effected tendon following tendinopathy. The healing is faster with Vitamin C; since it helps in new blood vessel formation, better organization and arrangement of tendon fibres, improving density of the connective tissue mucopolysaccharides, and improving thickness of the healed tendon fibers.